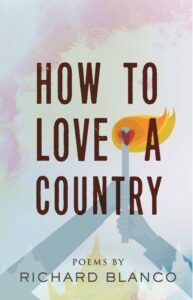 'How to Love A Country' speaks to his complicated view of the nation six years after he delivered the inaugural poem for President Obama. 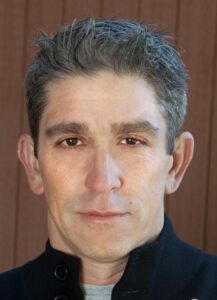 Richard Blanco’s sense of duty shifted when he delivered a poem on the steps of the U.S. Capitol for Barack Obama’s second inauguration, an event now distanced by more than six years. So much has changed since then, in America and in the poet’s life. Blanco’s new book of poems, “How to Love A Country,” reflects his coming to terms with what America has become in those six years, as well as changes he has made and encountered and how his role as a presidential inaugural poet created expectations and a heightened sense of responsibility to see and speak out. “The inauguration made me think about the civic role of a poet and poetry. I started writing poems that were more socially engaged and socially conscious. Along the way, I was also asked to write several commemorative poems – for Boston Strong, for the freedom to marry and for the reopening of the U.S. Embassy in Cuba,” he said. The process of writing autobiographical poems forced him to question his own cultural identity and what it means to be an American in the early 21st century. Blanco will read from his book and talk about his life as a traveling poet in a conversation Saturday at Space Gallery in Portland. The talk in Portland is part of a national book tour that began in March and continues through the spring. His talk at Space is sold out, but he’s scheduled several other Maine appearances, including April 23 at Gould Academy in Bethel and May 2 at Thomas Memorial Library in Cape Elizabeth. He is teaching this spring at Maine Media Workshops in Rockport and has more Maine speaking dates in June. Being on the road gives him the chance to see America, have conversations about American culture and events, and experience how his feelings about his country have changed since January 2013 when he stood alongside the president and delivered his hopeful, inclusive and triumphant poem “One Today.” As a Cuban immigrant in a country divided by race and class, he understands how much the mood has shifted from hopeful to helpless. As difficult as they are, the conversations about race and gender, which have “been swept under the rug for so long without any real conversations,” are leading to meaningful action and shifting our culture ever forward. Somewhere in that churn of turmoil must be progress, he said. That’s why he wrote these poems. They are about the issues of our times. There are poems about walls, borders and divides, about the high school shootings in Parkland, the nightclub shootings in Orlando, the Boston Marathon bombing. He writes about DACA dreamers, treaty violations and marriage equality. As an American poet of note, Blanco feels an obligation to comment on important American events. These are the stories of our lives from a writer who brings a unique perspective. He was born in Spain to Cuban exile parents and raised in Miami. He lives as a gay man in rural Maine and benefits from a lifestyle that sends him around the country and around the globe and puts him in contact with world leaders, scholars and policy-makers. Blanco wasn’t surprised Trump was elected. “I had a suspicion,” he said. “We were heading for a pendulum swing.” He assigned himself to write an inaugural poem for Trump, perhaps a parody of his poem for Obama. But he didn’t do it. He didn’t want to write about Trump. Instead, he wrote about America and asked larger questions about life, liberty and the pursuit of happiness.